﻿﻿﻿You need to get to the airport on schedule. That’s where we come in. There’s no excuse for a late ride to the airport, and we never miss a pick-up time. You have plenty to worry about if you’re travelling. There’s already enough stress and running around that you have to do. Our limousine to airport service alleviates all of that stress and we handle it for you. We do the rushing and waiting in traffic so that you don't have to! Just let us know what time you need to get picked up. Our chauffeurs will be at your pick-up spot on time and will load your luggage for you. 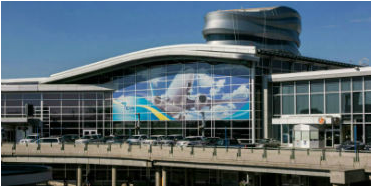 From there, all you have to do is sit back and relax as we provide a nice, safe, and relaxing ride to the Edmonton International Airport. If you need a pick-up AT the airport, then we offer the same kind of professional limousine service. We’ll pick you up at the terminal with a smile and ready to load your baggage. We’ll then get you to where you need to be. Whether you’re tired from a day of travelling or need to get to a business meeting, we’ll get you there safe and quick.